Conner Prairie is located in Fishers, Indiana, about 25 minutes north of Indianapolis on Allisonville Road (exit 5 from Interstate 69). Get driving directions from Google Maps and view traffic and construction updates here. Free parking is available, however, Premium Parking—providing easy-access parking—is available for individual concerts. Prices vary from $20 to $50. If purchasing Premium Parking for 10 or more performances, reserved parking passes are only $25 per performance. Please remember that a reserved parking purchase is NOT an entry ticket. Entry tickets must be purchase seperately. Handicap parking is available for patrons with a handicap parking placard or license plate. Simply enter the Conner Prairie grounds with your placard or plate visible, and you will be directed to the handicap parking lot. We also recommend the reserved parking lot for patrons with accessible needs. View the parking map below to see specific locations of the Reserved and handicap parking lots. 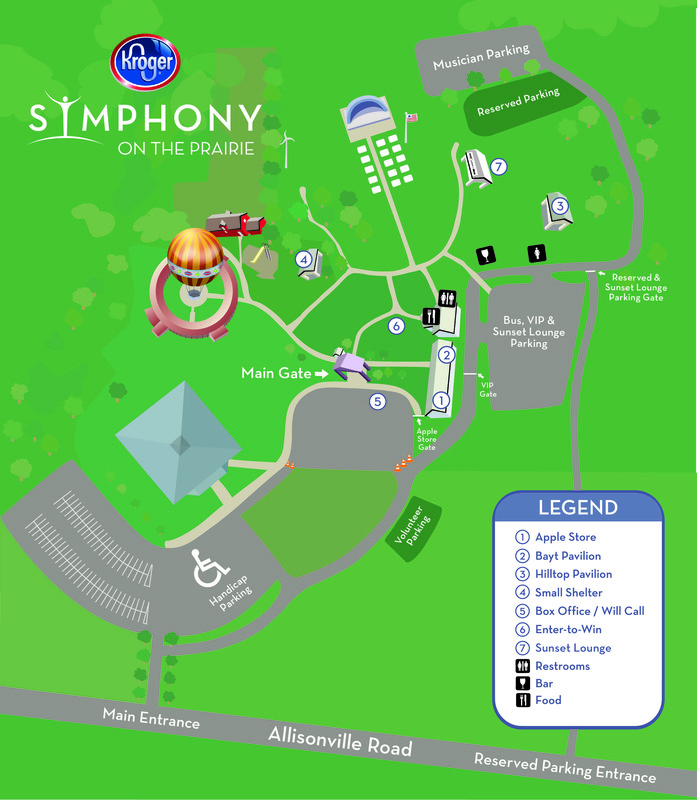 Reserved Parking and ISO Sunset Lounge ticket holders will enter via Bubenzer Drive, just north of the main Conner Prairie entrance.